Palma/ Palma de Mallorca is the major city and port for the island of Mallorca which is the largest and most visited of the Balearic Islands. 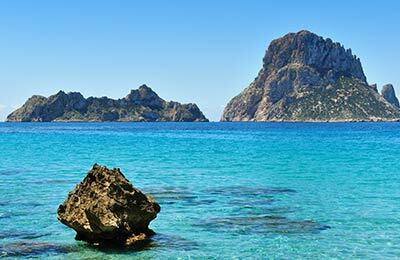 Mallorca has a lot to offer visitors, whether its simple sunny beaches or historic sites and rustic country villages. The ferry companies that operate out of Palma are Balearia and Acciona Trasmediterranea. Below, you can find all the Palma ferry timetables, journey times as well as our best and latest prices. Balearia ferries operate both fast ferries and conventional ships. All their ships are modern and well equipped. On board, you will find facilities including a cafe-bar, restaurant and shops in addition to a wide range of cabins and seating options. From Palma their ferries go to Barcelona, Valencia and Denia. In 2009, Balearia introduced four new fast ferries under the brand name Balearia +. These ships offer an outstanding level of comfort and greater on board facilities. 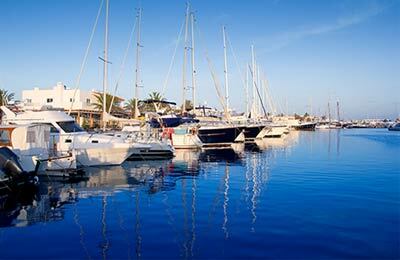 Balearia's philosophy is that your holiday should begin the moment that you step on board. Acciona Trasmediterranea ferries is a major Spanish ferry company in Southern Spain and their ferries are some of the most modern and best equipped in Europe. From Palma their ferries go to Barcelona, Ibiza, Valencia and Mahon. As well as spacious and luxurious cabins their ships offer numerous facilities including bars and restaurants. On their larger vessels you may also find a swimming pool, cinema and disco. Palma Ferry Port offers a full range of services and facilities. Driving on the main roads is quite simple and there are good highways and national roads, which take you to most places on the island. There are two railways in Mallorca. The one for Soller is a great way to enjoy the spectacular view of the Tramuntana Mountain Range. In the city of Palma, fare is calculated by a meter plus supplement (airport, port, extra luggage, extra passengers etc.). Inter-Village tariff applies to the rest of the island. Each taxi driver carries the tariff table. Bus is the most economical way to visit Palma and Mallorca island. Various bus companies run services between Palma and the rest of Mallorca, as well as between the different villages. In Palma, there are four streets from where you can catch buses. All of them are located near Plaza Plaza Espana. Palma (E.M.T) - bus service runs 22 bus lines in & around Palma all of which stop at Plaza Espana.